General elections were held in Bhutan on July 13. Tshering Tobgay’s political party won, and he is expected to become the next prime minister of the country. These were Bhutan’s second national elections. The first were held in 2008, when the country got its first ever leader elected by the people. 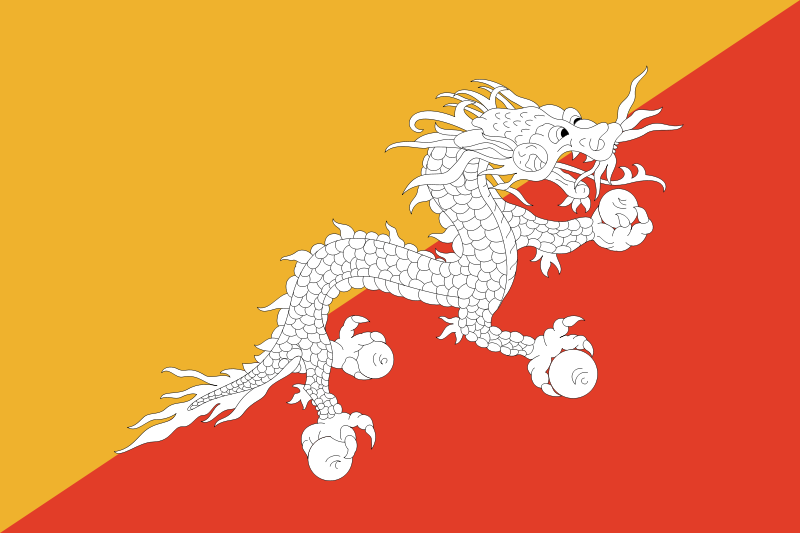 Bhutan had been a monarchy, and was governed by a king until 2008. At that time, King Jigme Khesar Namgyel Wangchuck (see image) gave up his absolute powers, and Bhutan became a democratic country. The prime minister became the head of the government. The monarchy in Bhutan was set up in 1907. King Jigme is the 5th King of the country since then. The King is 33 years old, and is very loved and respected by the people of Bhutan. Bhutan, a country nestled in the Himalayas, is referred to as the “Land of the Thunder Dragon” because of the very strong storms that strike the country. Bhutan is very scenic, with lots of mountains, rivers, gorges, and forests. It is about the same size as Switzerland, but the population of Switzerland is about 10 times that of Bhutan. The country’s capital city is Thimphu, and its national language is Dzongkha. Tourists were not allowed into the nation until the 1970s. People can visit now, but the country limits the number of tourists allowed each year. This is to protect the country’s traditions and environment. Last year, approximately 100,000 tourists visited the country. For comparison, the Eiffel Tower in Paris, France receives almost 7,000,000 visitors a year. Bhutan was one of the last countries to introduce television – they didn’t have it until 1999. The country has a ban on selling cigarettes. There are no traffic lights and international fast-food chains in Bhutan. Education and healthcare are free. There is a strong emphasis on traditions – the Bhutanese are required to wear their national dresses in many public places and events. Men wear “gho”, a knee-length robe that is wrapped around, and women wear “kira”, which is an ankle-length dress. Bhutan actually measures something called Gross National Happiness – a way to keep track of how happy and satisfied its citizens are. Archery is the country’s national sport. “Ema Datshi” is a popular food dish in the country and is made with chilies and cheese. Chilies are eaten as a vegetable and not as a spice in Bhutan. 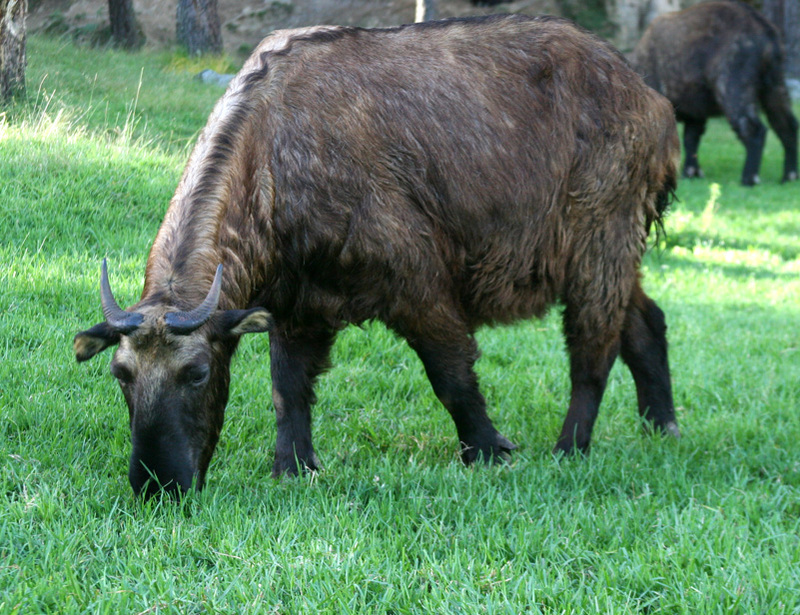 Bhutan’s national animal is the takin, a relative of the sheep. The takin warns others in the herd if it senses danger with a loud “cough”. Paro Airport, the international airport in Bhutan, is known for being one of the most difficult airports in the world for landings and takeoffs. This is because tall, steep mountains surround the airport which has a short runway. Very few pilots in the world can fly planes into Paro. Here is a video.